Great for the collector, these teeny tins feature fantastic imagery from the horrifying Attack On Titan anime series! 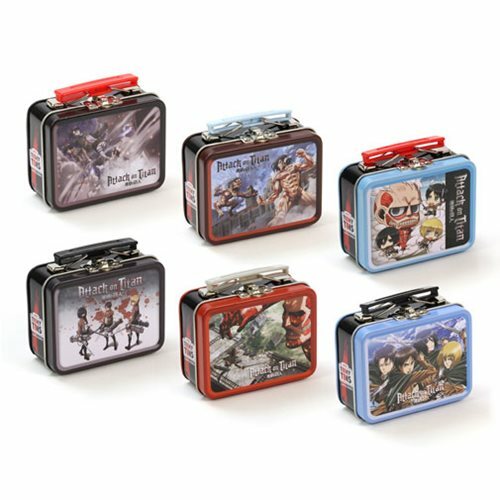 These classic tin mini lunch box replicas feature colorful, screen-printed characters from Attack On Titan on both sides. Tins are working models with hinge and latch for easy opening - plus a collapsible handle! Measures approximately 3 1/2-inches wide by 2 3/4-inches tall by 1 1/2-inches deep. Ages 14 and up.